If you don't have flower arranging skills but you'd still like to add decoration with a touch of nature to your house, there are some simple techniques you can try. 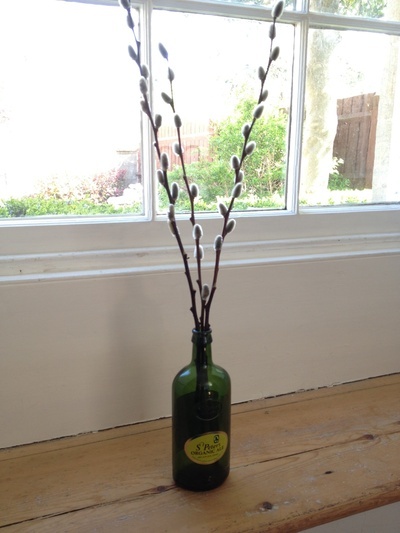 A simple or unusual vase can make any bunch of flowers look great. 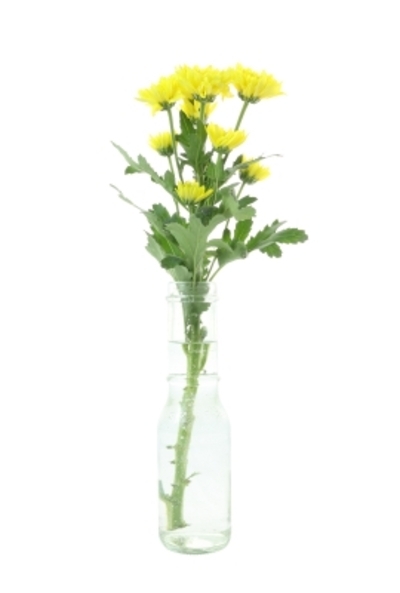 Try a large vase with long stemmed flowers and you won't need to arrange anything to get an impact. 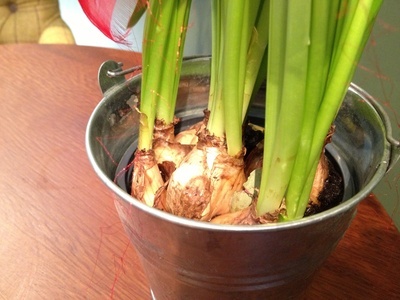 A slim vase with a small opening can be used with just one or two flowers to dramatic effect. Have a hunt through your house for alternatives to the traditional vase and they will become a feature in their own right. 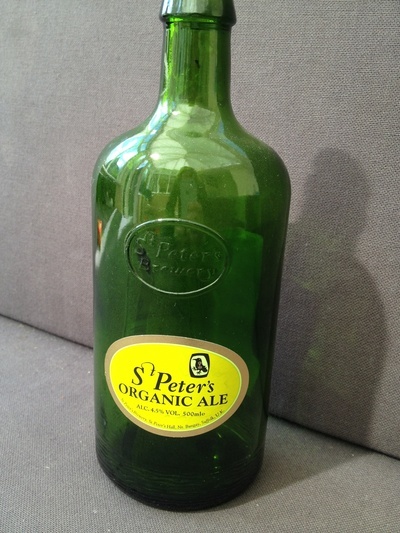 I was really taken by this green glass bottle which once held a delicious ale. 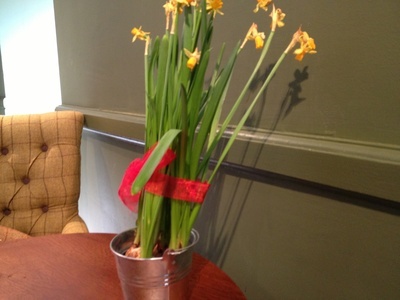 Try popping a few daffodil bulbs in a small container and then tie the stems with a ribbon to keep them together.